Continuing the celebration? 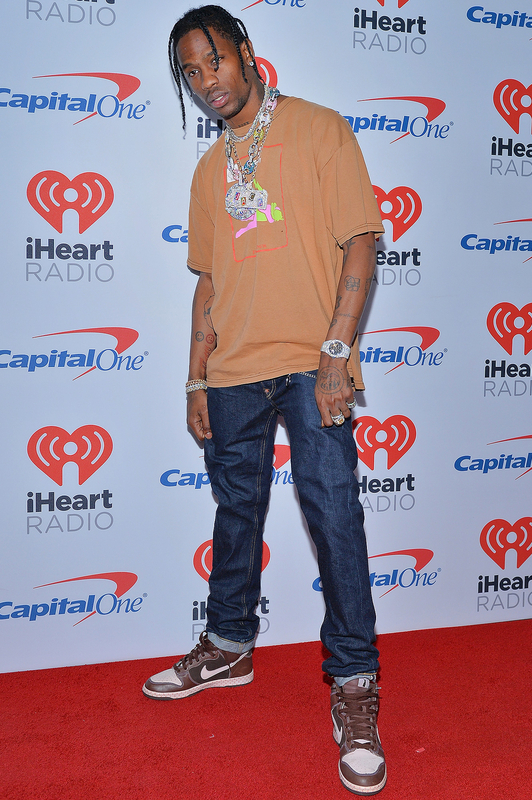 Just a day after news broke that Kylie Jenner is pregnant with her first child with boyfriend Travis Scott, the reality star made an appearance at the iHeartRadio music festival. The Keeping Up With The Kardashians star attended the second night of the festival in Las Vegas on Saturday, September 23, with friends while wearing an oversize gray T-shirt that concealed her baby bump. French Montana shared a video from the festival, in which the lip kit creator looked to be in good spirits, grinning and giving the finger to the camera, while enjoying the show from the side of the stage. Scott performed at the show, joining Chance The Rapper, Demi Lovato and French Montana during DJ Khaled’s closing set, wearing a diamond encrusted necklace and a brown shirt. The “Butterfly Effect” rapper has had a big week: in addition to news of his girlfriend’s pregnancy and joining DJ Khaled’s closing set, he also performed at the reopening of LIV nightclub in Miami on Friday, September 22, where he posed for pictures with Scott Disick. 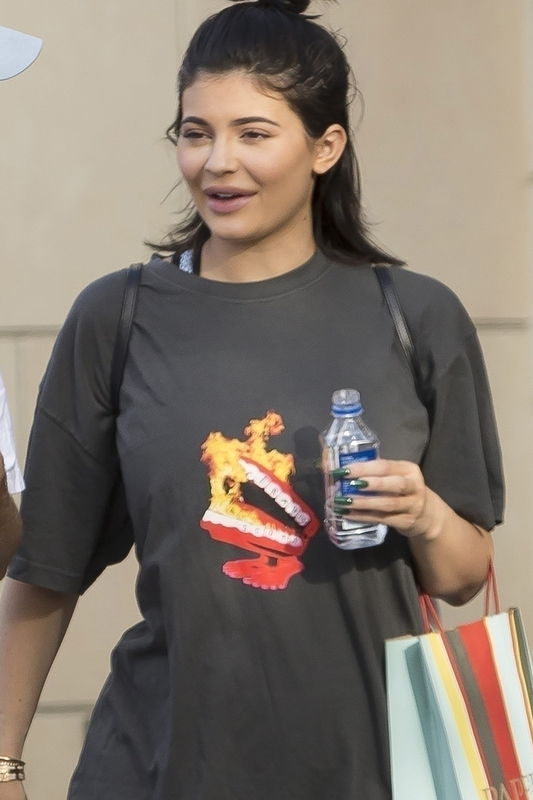 As Us Weekly previously reported, sources told Us that the Life of Kylie star, 20, is “at least four months” along and is expecting a girl in February. Watch the Keeping Up With the Kardashians 10th anniversary special tonight at 9 p.m. ET.